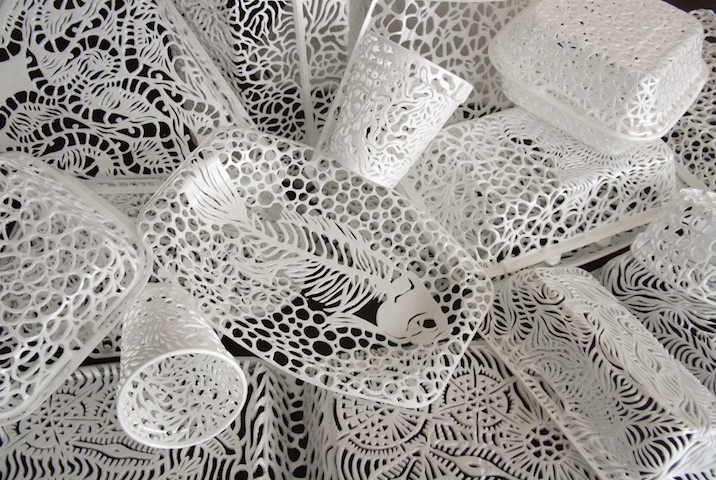 In contemporary thought, Timothy Morton defines interconnectedness in Nature as the Ecological Mesh. 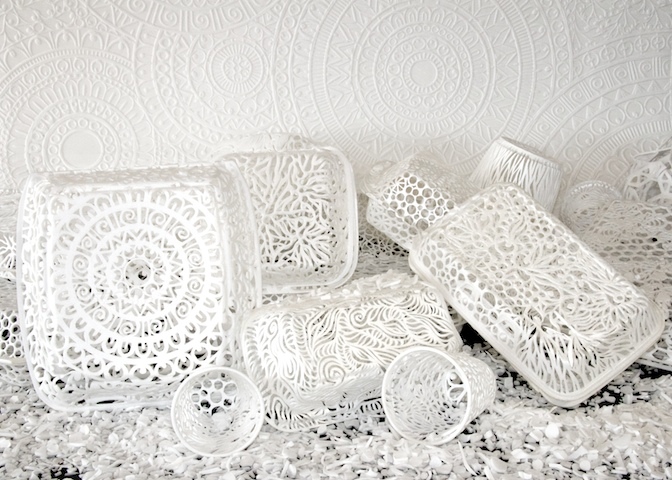 My cut-out boxes from Styrofoam are a simile of this mesh and embedded with ecological meaning. 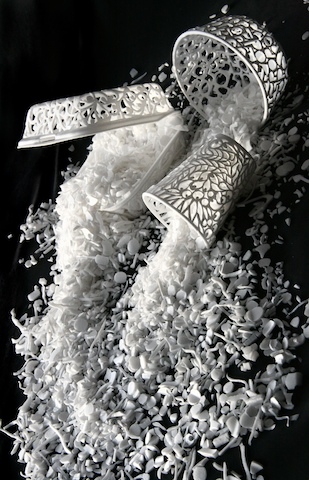 The Mesh Suites, a related series of linocut-embossings are the cut-out patterns translated into print. In both, there is equal value in the void and remaining grid. Morton observes the background/foreground equality in the Ecological Thought. 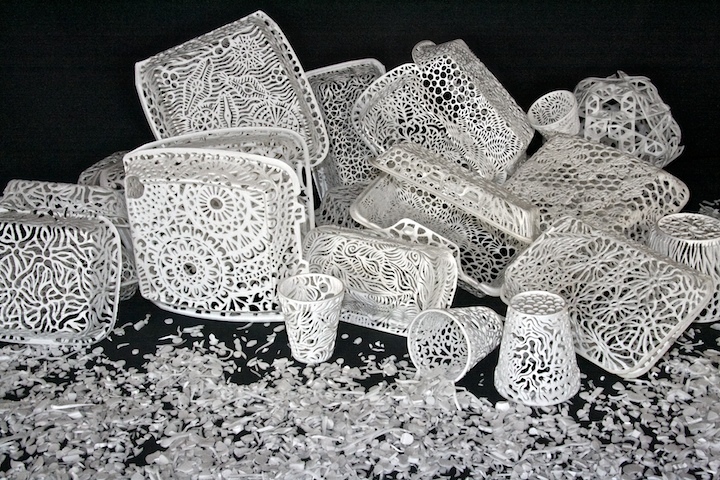 Eveline Kolijn’s latticed Styrofoam containers offer a simple black and white dynamic, but are a beautifully executed and moving appropriation of fast food and excess, implicating anyone indulging in such acts of consumption.